As September is a month of festivities and in October we will celebrate Navaratri, I thought it was an apt time to treat ourselves with the fasting food. This month’s event is hosted by Sonia of Dinner Recipe’s From Sonia’s Kitchen. The details of the event can be checked at her space later today. 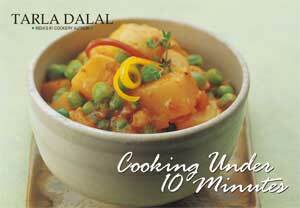 The winner of the event gets two books sponsored by www.tarladalal.com namely, Faraal Foods and Cooking Under 10 Mins. To win the giveaway, after sending the entry to Sonia, leave your links here. The winner will be chosen by me by a random method. You need to be a follower of my blog and a fan on my facebook fan page to participate in the giveaway. 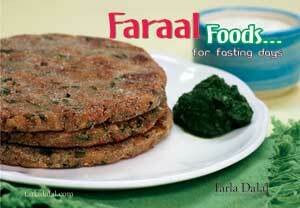 Looking forward to see many innovative and interesting faraal recipes. Good luck!!! I’m taking this opportunity to repost two of my favourite pasta preparations for my event to be sent to Jayasri who is guest hosting ‘Only’ Pasta, Noodles and Pizza. That sounds like a great theme, I would love to see and share all fastting related food. Hi pari hope everything is going according to plan, relocating is not an easy job, take it easy and come back with a bang as you said, wishing you vinayaka chaturthi and will definitely participate in the event, I have picked up your posts, take care c u soon.. I have also been away for a while. Am blog hopping and checking what all I have missed! And that is plenty! Sounds like a fun event! Maybe, I can get my act together and enter:) Good luck with your new home.